Haute cuisine but lacking heart? Some exquisite dishes let down by directionless menu with disappointing desserts at one of the city’s finest restaurants. I really wanted to love ABaC. Its chef, Jordi Cruz, is someone I’ve admired for a long time. I’ve watched him rise from Barcelona’s ranks of talented young cooks to become a household name in Spain. He’s likeable, charismatic and represents the city with pride both in the real world (as a two-Michelín-starred chef) and in the media (as a presenter on Spain’s version of the TV show Masterchef). I’ve applauded him at industry events and cheered as he accumulated accolades. He’s the real deal. Not only that, under Cruz’s mentorship his sous chef David Andres has won the 2015 S.Pellegrino Young Chef competition for Spain and Portugal. What I’d never done, until recently, was eat at his restaurant. Many of my friends have been and loved it, and writers I rate have raved about it, but something always came up whenever I was going to book a table. So I was delighted and excited to finally sit down beside the manicured lawns of the ABaC hotel, ready to be shown to the dining room for lunch. The room itself is elegant but understated. The greenery outside provides colour and a garden-like ambience of relaxation, but the interior decor is as beige as my grandmother’s wardrobe. It is, however, undistracting, and your attention is definitely steered towards the food – exactly as it should be. The aircon was directing an uncomfortably chilly current down my left arm but I’m from the north-east of England and I just don’t have it in me to publicly complain about the cold. My friend Dan and I chose the Gran ABaC menu, which is €165, plus an €85 wine pairing. The menu started with a Bloody Mary on the rocks, with the blood red of the tomato drip-filtered out. Clams with caviar, lime and sea butter, served on a frozen dish. So far, so good. The Bloody Mary was a bit anaemic but the clams were great. And, like everything that was to follow, they looked exquisite. The plating throughout was artful and inventive. But the next dish was a real disappointment. A sweetcorn taco, filled with foie gras, served with mole ice cream. We were warned that it might have a slight spicy kick. If it did, it missed. There was a lot of good foie, yes, but that was supplied by the budget not the skill of the chef. There certainly wasn’t much trace of Mexico in the bland mole. Thai coral and coconut juices with roasted scallop, fresh almonds, baby leek and chili was much, much better, delivering multiple layers of flavour. Lulo (a sweet Colombian fruit resembling a tomato) ceviche with oyster and pisco sour was likewise a great success: floral, fresh and acidic. Chinese brioche, grilled eel, fresh wasabi and alioli (no photo), smoked tableside, was a contemporary, kipper-y winner, with real wasabi adding welcome but fast-fading fieriness. We seemed destined for a travelogue menu of dishes from far-flung destinations at this point but the next course hit the homing beacon and brought us back to more familiar territory: a prawn and saffron-infused sauce with squid tartare, the prawns heads cooked tableside and served on seaweed bread. Roasted lobster with baby radishes and coral emulsion with kale chlorophyll added interesting grassy notes to the rich lobster. The dish could use more baby radish, which was so subtle as to be almost imperceptible, but the dish worked well overall. Tuna skins in rice cooked in eel stock with spring onions cooked in beetroot jus was a fascinating and clever variation of seafood rice, with just the right level of sharpness from the onions. A very enticing-looking onion soup of some kind was then placed before us. I just had time to take a snap, and a sniff, before the waiter said “sorry, mistake” and whisked it away. I’m not sure why that happened and I was very disappointed not to get to try it. Fortunately, what we DID get was good. Parmesan gnocchi, wild mushrooms and mushroom juices cooked and infused with citronella and truffle isn’t the most original flavour combination but what it lacked in razzle-dazzle and surprise it made up for in sheer enjoyability. And look at that presentation: it’s autumn on a plate. Seaweed-steamed bass with seaweed foam, fennel and a jus of baked fishbones. The bass was cooked tableside while we ate our previous course. With the onion-vanishing act and subsequent delay, I was worried that the fish might be overcooked. No such worries; it was still (just) within the limits of perfection. Pigeon à la royale with swiss chard featured two textures of pigeon, one of the best reductions you’ll ever taste, and a salty chard side that was pure pleasure. Gin & tonic bubbles with mango, candied lemon and juniper was an adequate palate-cleanser for the desserts but didn’t particularly impress. Spices and chocolate had been infusing tableside for a while ready to be filtered and transformed into the next dessert, a liquid nitrogen ice-cream created by a furiously stirring waiter who, I hope, has his hands insured. It was very dramatic, skilfully done and delicious but, frankly, I’d rather have had a real ice cream made with the same ingredients, with more attention put on adding complementary flavours than on adding theatricality. The final dessert, of celery sorbet, apple and chervil was, again, an adequate palate cleanser but otherwise did nothing for me. Petit fours were served on the terrace as I discussed the meal with Dan. There is, clearly, a tremendous amount of skill on display here. And yet, the experience as a whole was a disappointment, especially compared with Catalonia’s other two- and three-star establishments. It’s hard to put my finger on exactly why. Some dishes were world class, worthy of a two-star restaurant. Others were well below that standard. Taken as a whole, the menu lacked flow and a coherent personality. I would find it difficult to sum up the character of the cooking other than simply ‘creative’. What was the chef trying to say here? There was great technical ability, yes; it was haute cuisine of an exceptional standard, yes. But where was the heart? The menu jumped around from course to course and continent to continent. The wine pairings, similarly, were all OK-to-excellent when taken individually, but jarring as a sequence, switching abruptly from wine to beer, to sake and back again. This lack of flow reduced the impact of what in many ways was a fantastic meal; it’s the weak points that stuck in my mind afterwards, not the highlights, perhaps because the desserts were by far the weakest section of the menu. I’d like to see Cruz take a step back from what is an undoubtedly busy schedule and focus his undoubted talent on a more clearly defined concept; perhaps to get back in touch with his roots and not just with his international culinary peers. Regardless of what I think, ABaC is doing fine. Jordi’s fame attracts plenty of customers, most of whom seem to have a great time. And don’t misunderstand me: ABaC is a superb restaurant: I’d recommend it to anyone interested in this kind of food. But I think it could be even better. Note: This review was written before I ate at Angle, Jordi Cruz’s second Barcelona restaurant. There, he does exactly what I mention in my last paragraph: shows off his skills in the context of a more coherent menu that displays plenty of heart. Read my Angle review here. If ABaC fuses that feeling with the higher levels of creativity and technical accomplishment already on display, it will become something very special. 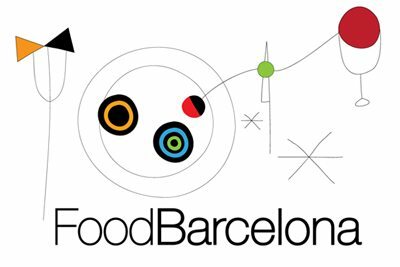 Find ABaC on the FoodBarcelona restaurant map.